A healthy smile is the best smile of all. Maintaining our wonderful smiles as we grow is important. Here are some interesting and helpful facts to know. Yes, it does come down to eating Alkaline foods that promote healthy pH levels in your body. However, I still believe you will be surprised when reading some of the information in this post. 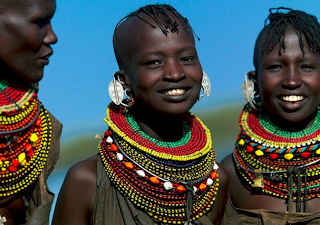 After all, a great smile not only lights up a room, but can lift the spirits of others. -So this article is worth reading. We All are aware of the fact that acids in the mouth cause tooth decay. However, acids in the mouth also create escalating problems throughout the day from the foods we eat. Did you know the saliva glands, stomach, pylorus glands, gall bladder and pancreas release plain old baking soda to buffer and alkalize what we eat? The release of baking soda on what we put into our mouth is preparation for that food becoming the foundational stem cells that becomes our blood and then our body cells. Here are more interesting facts I learned, yet again, from Dr. Young: Most folks think that the mouth and stomach are releasing enzymes or acids to digest the foods and liquids we eat. This is a medical myth. The enzymes or acids in the mouth come directly from the foods and liquids we eat. Also the salivary glands, in response to these acids, release alkaline buffers to neutralize those enzymes or acids. For this reason, it is NOT recommended you take vinegar, HCL supplements and acidic digestive enzymes. They destroy the alkalinity of the alimentary canal and set the stage for dis-ease! The A primary organ responsible for making baking soda (sodium bicarbonate) is the stomach. The stomach takes water, carbon dioxide and sodium chlorite from the blood to make sodium bicarbonate. That is why our blood salts with sodium! Now, if you are thinking like me, 'Wait a minute, Dr. Young, I thought that the stomach was acidic. I thought that the acids from the Stomach was created to digest food,' then it might surprise you to find out that this is the biggest medical myth of the 20th and 21st Centuries. The mouth, stomach and intestines are not digestive organs, but organs of contribution. The contribution is plain old baking soda - sodium bicarbonate. When food enters the stomach, the cover cells of the stomach begin to produce plain old baking soda or sodium bicarbonate to raise the pH of the food. The baking soda splashes on the food and then hydrochloric acid falls into the gastric pits away from the food. Dr. Young says this is where current medical science misses the boat. They measure the pH of the stomach after the food has been alkalized by the sodium bicarbonate or after alkalization. The only thing left is the acidic residues of the HCL or hydrochloric acid which is a waste product of sodium bicarbonate production, not a product of digestion. The correct healthy pH of the stomach ranges from 7.2 to 8.4 not the current medical theory of 1.5 to 3.0. The goal is to raise the pH of the food to an 8.2 to 8.4 before it reaches the root system of the body or the intestinal villi (small intestine) for biological transformation into the new erthyroblasts which become our new blood. This transformation of food into blood happens in the small intestine and can only happen in an alkaline pH of 8.2 to 8.4. This is why it is recommended by pH Miracle that you drink alkaline beverages like the pH Miracle Water with your alkaline green foods. Also pH Miracle Greens and other food supplements. 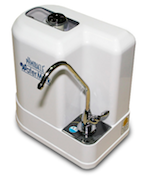 Constant flooding of the mouth and stomach with pH Miracle Water will create and sustain an alkaline environment in the mouth and stomach which is 'refreshed' with every drink. The concomitant (naturally accompanying) reduction in oral and stomach acids not only will improve overall dental and digestive health, but it will also reduce or eliminate bad breath, indigestion, nausea, acid reflux, ulcers and even cancer caused by acids from the foods and liquids we eat. The following are just a few of the comments that we have accumulated over the years. J Pub Health Dentistry, Nov. 1993. There is a tooth decay epidemic in the US. 42% of people over 65 years of age have no natural teeth, 44-year-olds' have an average of 30 dental cavities, 17-year-olds' have an average of 11 cavities, with blacks and the impoverished being twice as bad. American Indians have four times the dental problems of the average non-Indian populations. American Indians have free dental care, and have had since almost the beginning of fluoridation. If fluoride helped prevent cavities at a rate of 80% per 15 years as the proponents of fluoride claimed in the beginning of the early studies of the 1940s, US residents would now have less than 2 cavities per person. In MediZine, Vol. 6 No. 2, April of 2000, the American Dental Association again states that a dental epidemic exists and 42% of those over 65 years of age and 25% of those over 44 years of age have no natural teeth. They admit their ignorance as to why. We now know why. It is the acidic lifestyle and diet which includes how you think. Studies conducted over a 30 year period indicate that the increasing concentration of fluoride in drinking water from 0 to 1 ppm increases the cavities 7, 43, 22 and 10% in Japan, Tucson, India and the US respectively. In other words, fluoridation about doubles cavitation from the norm. Numerous studies verify the fact that fluoridation of water increases cavities. Tooth enamel (essentially calcium phosphate) reacts with all food acids to form cavities (see any chemistry text dealing with solubility's). The proton of the acid pulls the phosphate right out of the enamel, and fast. Dr. Albert Schatz, Nobel Laureate, who discovered streptomycin, found several decades ago that sharks' teeth with their excessive fluoride would dissolve just as readily in citric acid (Vitamin C) as ordinary non-fluoridated teeth, laying to rest the hypothesis that fluoride would stop cavities. The American Dental Association pushed aside as insignificant this discovery and Dr. Schatz' discoveries regarding excessive baby mortality's caused by fluoridation in Chili, South America. They returned his mail 3x unopened, and would not deal with him. Some harmful food acids are those with a pH less than 4 (which includes all animal proteins and fish tart to the taste) and also those that attack tooth enamel. The lower the pH, the more rapidly the acids will breakdown and burn. Reenamelization of the teeth occurs when they are clean. All commercial toothpastes make a barrier of glycerin (a sugar acid) on the teeth which requires more than 20 rinses to remove. A good solution for clean teeth, is brushing with plain old baking soda, pHour Salts - Dr. Young's newest alkaline product for brushing and rinsing the teeth, also pHlavor liquid sea salt which leaves the teeth ready for reenamelization with calcium and phosphate in the diet. Reenamelization and recalcification of the teeth is necessary on a daily basis, because the enamel leaches slightly even with normal tap water. Without reenamelization and recalcification we could never have good teeth. 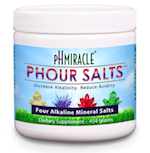 That is why Dr. Young created pHour Salts (an alkalizing tooth powder), pHlavor Sea Salts and pH Miracle Water. It is recommended we brush our teeth every day with pHour Salts and spray the pHlavor Liquid Sea Salt on all my foods and in my mouth several times a day.